1. When you go to your usual pub and suddenly everyone in there looks way younger than you. I’ve been watching the rugby in my local (bloody love the Six Nations) and every week I’ve spotted people who make my baby face look look wizened and old. Similarly, when I was at home for Christmas my friends and I met up for drinks in the pub we’d been going to since we were eighteen (most of us are now 21/22) and we were the oldest people in there. We were sat in our jeans and jumpers talking about work and dissertations and how tired we are while everyone else was dressed to kill and (probably) going on their first nights out. 2. When your tutor asks what everyone’s post-uni plans are. People will start piping up things like ‘Grad scheme’ and ‘PGCE’ and then they get to you and you’re like ‘Erm…’ and everyone looks at you with pity in their eyes. I’m working on it, I swear. 3. When you’re torn between needing to focus on all the work you have to do and wanting to make the most of being a student while you still can. I have deadlines to meet and words to write and I would like to do my best for all of my assignments… but there’s also part of me that wants to go to the union to drink cheap shots and abuse my student discount at the local shopping centre, while I still can. 4. Likewise, when you feel like you’re done with formal education, but also terrified at the prospect of having an actual adult job. You’ve had enough of coursework, enough of lectures, and enough of being told that students are lazy alcoholics, but you’re not sure if you’re ready for the old nine-to-five life. 5. When the realisation that there’s a high chance you’ll leave your uni city hits you, and you’re just not ready to say goodbye. Quite frankly I’m happy to go anywhere in the UK when I graduate, but part of my heart will always be in Cardiff. And yes, I know that’s massively cheesy, but I have a lot of feelings right now. 6. When you look round at all the people in your class and realise your days of having fun together are numbered. I enjoy our debates about dialogue, and reading everyone’s fantasty/sci-fi/detective/travel writing, and having book recommendations flung at me left, right, and centre.. Sometimes, someone will bring in some food and we’ll all eat cookies as well. I need this in my life. 7. When you start wondering who you’ll stay in touch with when you’re not all living five minutes away from each other. Distance does funny things to people and I hate saying goodbye, especially when you don’t know when — or even if — you’ll see someone again. 8. When your tutor tells you how many weeks you have left. NO. Let me live in blissful ignorance for a little while longer. Please? 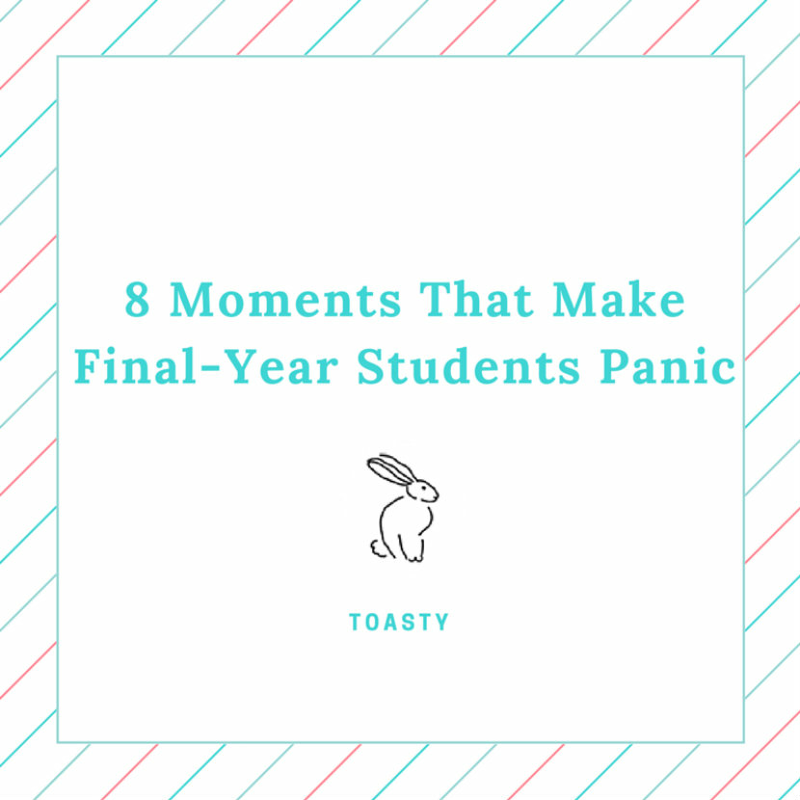 How did you cope with your final term at university? Are you going through the same thing as me right now? Let me know in the comments! Neglected Products — What Should Stay and What Should Go?